I believe in a world of Love. A world that integrates an openness and vulnerability of the heart as a pathway to self-exploration, higher consciousness and ultimate freedom. Jason Tantra is my offering to shine a light through the pathway of the world of Tantra that keeps you safe, challenges you to your very core in the spirit of personal growth and freedom. 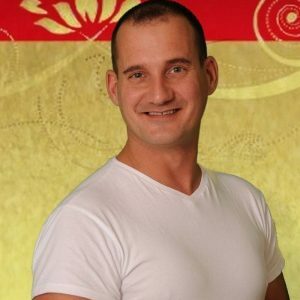 I offer workshops, events and other ways to use the techniques of Tantra to shine a light of love on the pathway of your soul. Our sexual energy is our most powerful force. Learn the art of Tantra to help you achieve states of bliss that leave you wondering how was it ever possible. Hello, I’m Jason and welcome to my website Jason Tantra. Jason Tantra is my creation as an expression of Love and to support people to be, and experience Love through Tantric practices. Our sexual energy is our strongest energy that we have as human beings. Being conscious and integrating Tantric practices can support us to experience profound moments of Bliss and Ecstasy. In ancient Tantra this is the gateway to becoming an Enlightened being. I believe that if as beings we were to live more heart aligned, the world would be a better and more enlightened place and people would be happier. Jason Tantra is my creation of Love in the world. I have heard “be the love you want to see in the world”. I believe that if humanity was more aligned to its heart centre then some of the world’s issues would not exist. The purpose of Jason Tantra is to support people to be and live a more heart centered life through by integrating Tantric practices into everyday life. This for me is how humanity will evolve. We are at a very interesting time in our evolution, Look how we have developed in the last 200 years. How will we develop in the next 200 years. My hope is that we learn to integrate our hearts and bodies into our decisions and continue to create a world where our hearts sing each day and we rejoice and celebrate our connection within divinity in each moment. I started my spiritual journey when I was 18. My mother, a clairvoyant, medium and spiritual healer introduced me to the concept of ‘Universal Energy’ by saying “can you feel this” when she was channeling energy for the first time. I knew then that this was something special, this was something magical. This is when my training as a Tantra Teacher started.